I’m still not sure whether I’m included. What am I giving up by staying in the Class and participating in the Settlement? How can I exclude myself from the Settlement Class? Who is the attorney for the class in this case? If I experienced a leak of an F1807 Fitting, how will my claim be resolved? What happens if I have multiple leaks of F1807 Fittings? What happens if I have a water flow differential between my hot and cold water lines? How do I know if my property is a small, medium or large structure? What is a Zurn F1807 Fitting? How do I know if I have Zurn F1807 Fittings? What is the deadline to file a claim for current damage or a claim for unreimbursed repair? What do I need to include with my claim form showing the identity of F1807 Fittings in my home? What happens if my claim is approved? What if I have already repaired my damaged property related to a F1807 Fitting leak? Who will be performing the re-plumb/remediation of my F1807 Fittings? How soon will my re-plumb/remediation occur? What if I had prior litigation with Zurn? What are the fees involved in filing a claim? What if I cannot provide all of the information needed to file a claim for damages? What will happen if more leaks occur in the future? I filed my claim months/years ago and have never heard anything. What is going on? Why was I mailed the Claim Form? When is the hearing to approve the Settlement? I received my check. If I cash it, does that mean I cannot file any more claims? The lawsuit claims that Zurn designed and sold defective F1807 Fittings that prematurely degrade, leak and cause damage as a result of corrosion. It also claims that the warranty Zurn provided with these F1807 Fittings should pay for repairs related to their alleged failures. The lawsuit asks for money to be paid to people and entities that own homes, buildings and structures that contain F1807 Fittings. It also seeks to require Zurn to honor future warranty claims for damage resulting from the F1807 Fittings. Zurn denies the claims and allegations in the lawsuit. Zurn maintains that its F1807 Fittings are not defective and function properly in the vast majority of installations. Zurn further contends that when failures occur, they may be caused by such factors as installation issues and corrosive water conditions. Zurn further contends that claims in the litigation are barred by the terms of its warranty. In a class action, one or more people called “Named Plaintiffs” or “Class Representatives” sue on behalf of people who have similar claims. All of these people are Settlement Class Members. One court resolves the issues for all Settlement Class Members, except for those who exclude themselves from the settlement. The Court did not decide in favor of Plaintiffs or Zurn. Instead, both sides agreed to settle this case to avoid the cost and risk of a trial. The settlement does not mean that any law was broken or that Zurn did anything wrong. Zurn denies all legal claims in this case. Named Plaintiffs and their lawyers think the settlement is best for all Settlement Class Members. 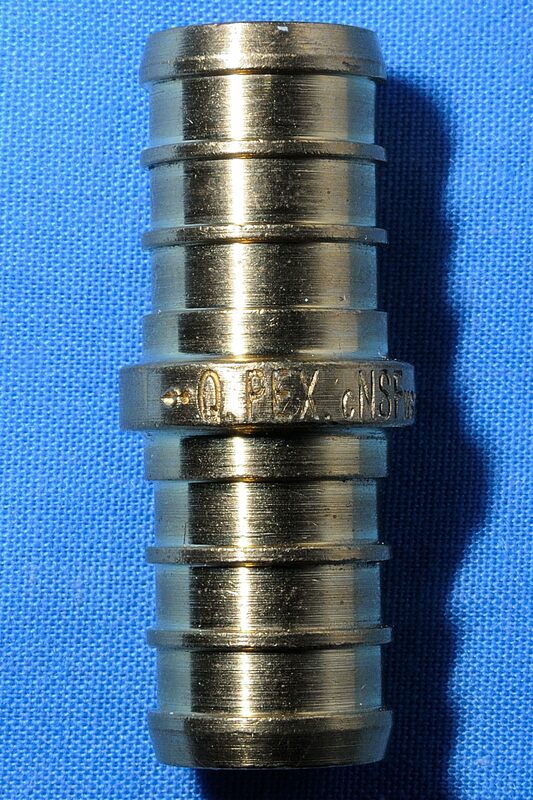 All Persons that own or have owned buildings, homes, residences or any other structures located in the United States that contain or have ever contained F1807 Fittings. Also included in this class are all such Persons’ spouses, joint owners, heirs, executors, administrators, mortgagees, tenants, creditors, lenders, predecessors, successors, subsequent owners or occupants, trusts and trustees, attorneys, agents, and assigns and all Persons who have vested legal rights such that they have legal standing and are entitled to assert a claim on behalf of such Settlement Class Members for Leaks or Occlusions. Insurance carriers are members of the Settlement Class for Leaks and Occlusions if they paid insurance claims for Leaks or Occlusions prior to the date of the Preliminary Approval Order and thereby obtained legally vested subrogation rights. Persons who seek contribution or indemnity from the Zurn Defendants on past settlements of claims with Settlement Class Members involving Leaks or Occlusions are members of the Settlement Class for those Leaks and Occlusions if they paid those settlements prior to the date of the Preliminary Approval Order and thereby obtained vested legal rights to pursue such contribution or indemnity claims. To the extent there may in the future be subrogated insurance carriers or Persons who seek contribution or indemnity from the Zurn Defendants because of vesting of legal rights that occurs after the date of the Preliminary Approval Order, they shall not be Settlement Class Members, but the rights that they take through a Settlement Class Member shall be limited by all of the terms, time periods, releases, caps, no double recoveries and other provisions of this settlement. If you are not sure whether you are in the Settlement Class, or have any other questions about the settlement, feel free to call the toll free number, 1-877-341-4602. You may also write with questions to the Zurn Pex Claims Administrator, PO Box 3266, Portland, OR, 97208-3266 or send an e-mail to info@plumbingfittingsettlement.com. be able to demonstrate by way of a flow test that a differential in water flow, resulting from corrosion of one or more F1807 Fittings manufactured and/or sold by Zurn, of more than 50% between the hot and cold lines of one or more system fixtures, unless those systems were not used in compliance with applicable installation and use guidelines and the loss is a result of such non-compliance. Persons (including insurers) that have paid for the cost of damage or repairs related to an eligible leak caused by corrosion of Zurn F1807 Fittings and that have legal standing to pursue such claims are also eligible to submit claims in the claims process. You cannot submit your Claim Form and accompanying materials by telephone or on the Internet. If you change your address and want to receive a Claim Form or any payment owed to you by Zurn at your new address, you should notify the Claims Administrator of your new address by sending written notice of your change of address to the Claims Administrator at the address above. If you did not receive a Claim Form by mail, or if you need to obtain one or more additional Claim Forms, you can get one in any of the following ways: (1) by downloading a Claim Form here; (2) by requesting a Claim Form be mailed to you by calling the Claims Administrator’s toll-free telephone number, 1-877-341-4602; or (3) by requesting a Claim Form be mailed to you by writing to the Zurn Pex Claims Administrator at the address listed above. In signing the Claim Form, you submit under penalty of perjury, which means that you are swearing under oath that the statements you make in your form are true. The submission of a false claim may be a criminal offense. Now that the settlement has become final, Zurn will fund the settlement account with an initial payment of $3 million in the next 30 days. Claims will be processed in the order in which they were received and payments to class members can be expected within a reasonable time frame. Zurn will fund the settlement in an amount totaling no more than $20 million over the seven year claims period. Claims made that exceed a given year’s cap will be held over and paid first in the next claims year. Class Counsel and counsel for the Zurn Defendants believe the $20 million fund will be sufficient to pay all eligible claims. However, to be sure that all claimants will be treated similarly, the initial payment made for leaks and occlusion claims will be 60% of the eligible claim. After claims have been received, Class Counsel and counsel for the Zurn Defendants will ask the Court to approve supplemental payments to Settlement Class Members based on a pro rata calculation of the claims submitted. If an unexpectedly high level of claims occurs, claim payments may total less than 60% of the damage caused by the leak or occlusion. The actual total amount paid for a leak or occlusion claim will not be known until data from the claims experience is available and the Court approves the supplemental claim process. Settlement Class Members who submit a claim or do nothing at all will be releasing Zurn from all claims involving corrosion or potential corrosion of the F1807 Fittings. This means you will no longer be able to sue Zurn regarding any of the claims described in the Settlement Agreement. To obtain a copy of the Settlement Agreement, click here. The Settlement Agreement provides more detail regarding the release and describes the released claims with specific descriptions in necessary, accurate, legal terminology, so read it carefully. You can talk to the law firms representing the Settlement Class for free or you can, at your own expense, talk to your own lawyer if you have any questions about the released claims or what they mean. Your signature (even if represented by an attorney) and the date on which you signed it. If you do not comply with these procedures and the deadline for exclusions, you will remain a Settlement Class Member and lose any opportunity to exclude yourself from the settlement, and your rights will be determined in this lawsuit by the Settlement Agreement, if it receives final judicial approval. You cannot ask to be excluded on the phone, by email, or online. To obtain a copy of the Opt-Out form, click here. The Court designated Shawn Raiter and his law firm Larson King LLP as Lead Class Counsel. You will not be charged for these lawyers. If you want to be represented by your own lawyer in this case, you may hire one at your own expense. Class Counsel has been granted attorneys’ fees and expenses of no more than 8.5 million dollars to be paid by Zurn. Also, Class Representatives who were deposed during the litigation will receive a payment of $7,500 each and Class Representatives who were not deposed will receive a payment $5,000 each for their effort, service, time and expenses. Settlement Class Members will not be responsible for the fees and expenses of Class Counsel, and the payment of attorneys’ fees and expenses will not reduce the benefits to Settlement Class Members. Zurn will not be responsible for any cost that may be incurred by, on behalf of, or at the direction of the Settlement Class Members, their counsel, or Class Counsel in (a) responding to inquires about the settlement, the Agreement, or the lawsuit; (b) defending the Agreement or the settlement against any challenge to it; (c) defending against any challenge to any order or judgment entered pursuant to the settlement or the Agreement; or (d) completing the claims process. Zurn will pay the costs of the Special Master and Independent Engineering Consultant. For eligible claims submitted for leaks, either that have already occurred or that occur during the seven year claims period (April 1, 2013—April1, 2020), the Claims Administrator will pay you for up to 60% of documented damage resulting from each leak, subject to a cap of $100,000 per leak. Damage payments for leaks do not include any claimed economic losses such as loss of use or loss of value of the property, lost time, or any indirect or consequential damages. The claimed damage must be the direct result of a leak caused by corrosion of Zurn F1807 Fittings, and you must have taken reasonable steps to limit or stop the effects of the leak. If you own a Small Structure or Medium Structure that has had two or more leaks prior to April 1, 2020, or a Large Structure that has had five or more leaks prior to April 1, 2020, whose root cause was corrosion of F1807 Fittings, you may request to have your plumbing system replaced by an approved contractor. The Claims Administrator will pay you up to 60% of the re-plumb cost, with the balance to be paid by you. For Small Structures and Medium Structures, such payment by the Claims Administrator will be subject to a cap of $7,000 and within an overall per claim cap (meaning the cost of re-plumb plus the cost paid due to the leak that led to the re-plumb) of $100,000. For Large Structures, the cap will be $100,000 including both the amounts paid for the re-plumb and the amounts paid as a result of property damage from the leak that led to the re-plumb. The settlement allows for an approved third-party Remediation Contractor to perform the re-plumbs. To see a list of the approved Remediation Contractors, click here. If possible, the Remediation Contractor will perform this work using current Zurn Pex plumbing systems with fittings that are not F1807 Fittings. If the Remediation Contractor is unable to perform the re-plumb, or if you do not wish to use the Remediation Contractor to do the work or do not wish the re-plumb to be done with a Zurn Pex plumbing system, the Claims Administrator will pay a contractor of your choosing a cash equivalent out of the settlement fund equal to what the Settlement Agreement provides would have been paid to the Remediation Contractor for the work. If you currently own a structure that has or had a differential in water flow between the hot and cold water supplies running to the same fixture, you are eligible for remediation (elimination of the flow differential) of the system if you are able to demonstrate by way of a flow test that a differential in water flow of more than 50% between the hot and cold lines of one or more system fixtures, exists as a result of corrosion of one or more F1807 Fittings. For eligible current or future occlusion claims, the Claims Administrator will pay the Remediation Contractor the reasonable costs associated with performing the repair or replacement of the affected fitting(s) and pipe necessary to restore normal water flow, up to a cap for Small or Medium Structures of Seven Thousand Dollars ($7,000). For Large Structures the per-claim cap is One Hundred Thousand Dollars ($100,000). Remediation will begin with the replacement of fittings at the water heater. If this does not restore normal water flow to the system, you will be eligible to request a re-plumb, subject to a cap of Seven Thousand Dollars ($7,000) for Small and Medium Structures and One Hundred Thousand Dollars ($100,000) for Large Structures. If such occlusions have already been repaired, Class Members may claim for up to 60% of the remediation or re-plumb costs that were incurred, subject to the same overall cap. A “Small Structure” is defined as 10,000 square feet or less. A “Medium Structure” is between 10,000 and 20,000 square feet. A “Large Structure” is at least 20,000 square feet. A Zurn F1807 Fitting is any yellow brass plumbing fitting and its attendant clamps or crimp rings (even if the attendant clamps or crimp rings are made of other materials), including valves and other connectors, that were sold by the Zurn Defendants and were designed and manufactured using UNS C36000 and C37700 brass alloys as set forth in ASTM F1807, regardless of whether the fittings were made before or after the adoption of F1807 by ASTM or its recognition by any authority or jurisdiction. This term does not include Zurn Pex plumbing polymer fittings or fittings made with any other brass alloy such as DZR or ECO brass. 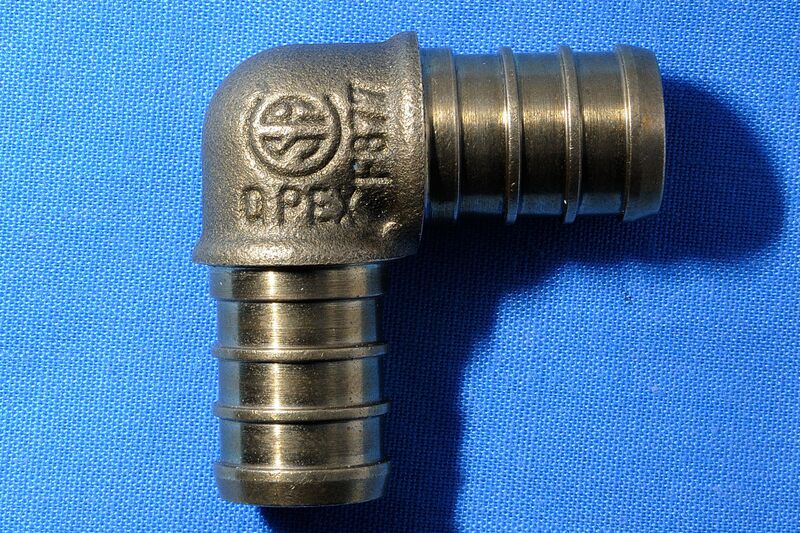 Zurn’s yellow brass F1807 Fittings (known as QestPEX Crimp System, Qicksert fittings, and Qick/Sert insert fittings) were stamped with “Qpex” and can be located at joints in the plastic pipe. F1807 Fittings are secured to the pipe by copper crimp rings or stainless steel clamps. The F1807 Fittings were used for a variety of applications including, without limitation, hot and cold water distribution in plumbing applications and radiant heating systems in homes, residences, buildings or other structures. Please note that the fittings at issue in this litigation are no longer sold. 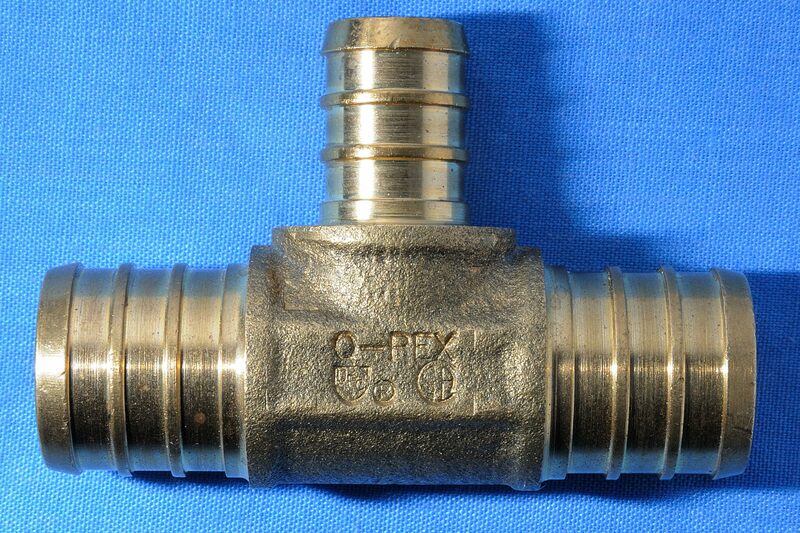 Zurn stopped selling F1807 Fittings in 2010. To access photos and a description of the F1807 Fittings, click here . To file a claim, you must submit a valid and complete claim form by following the procedures outlined in question 6. If you timely file a valid claim form and complete claim form to the Claims Administrator, and otherwise qualify under the terms of the settlement, you may be entitled to compensation. For any leaks that occurred on or before April 1, 2013 (a Past Leak) the filing deadline for all Past Leak claims was April 1, 2014. For leaks occurring after April 1, 2013, the deadline to submit a claim is no later than 12 months after an eligible leak or occlusion occurs. However, Zurn will not pay any claims that are submitted by Claim Form after April 1, 2020. Leaks or occlusions that occurred prior to April 1, 2013 are no longer eligible for consideration. Any claimant making a claim based on a leak must provide proof of the presence of the F1807 Fittings in the subject property. Claims for leaks in which the failed F1807 fitting is not provided will only be honored if there is good cause for the failure to provide the failed fitting, and the other documentation is sufficient to establish all elements of a valid claim. The claims administrator will make reasonable efforts to assist claimants in understanding and satisfying the documentation requirements. You may identify your structure as containing F1807 Fittings by any of the following means: manufacturer warranty; inspection report; bills of sale; purchase orders; builder or plumbing records; correspondence identifying Zurn Pex F1807 Fittings in the property; report from plumber, engineer, architect or home inspector identifying Zurn Pex F1807 Fittings in the property; builder, plumber, contractor letter stating upon personal knowledge that Zurn Pex F1807 Fittings were used in the property; photographs; description of all printing found on the Zurn Pex F1807 Fitting. For Claim Forms submitted, the Claims Administrator will review all such Claim Forms and required supporting documentation to review for eligibility of payment under the class action settlement terms. If you fail to provide all information, documents, or photographs required by the Claim Form, the Claims Administrator will notify you in writing of your failure to do so. The missing information, documents, or photographs must be received by the Claims Administrator (or postmarked) within 30 days from the postmarked date of that written notice of your failure to provide all necessary information, documents, or photographs. Failure to comply will result in a denial of your claim. If your Claim Form and accompanying materials do not meet all of the requirements of the settlement, your claim will be deemed invalid, the Claims Administrator will deny your claim, you will not receive any payment, and you will be informed in writing of that decision. Decisions as to whether corrosion was the root cause of a leak or occlusion may be referred to an Independent Engineering Consultant, the cost of which will be paid by Zurn. A Special Master will be available for a Settlement Class Member to appeal a denial by the Claims Administrator if the denial was for reasons other than root cause. Instructions for appealing a decision of the Claims Administrator will be provided with all denied claims. If you submit a Claim Form seeking benefits under the settlement, and the Claims Administrator determines that your Claim Form and accompanying materials present a valid claim and satisfy the eligibility criteria of the Agreement, the Claims Administrator will issue a payment to the Settlement Class Member, if appropriate, and/or will arrange for a Remediation Contractor to remediate or re-plumb the PEX system if appropriate under the terms of the settlement. Zurn reserves the right to appeal all claims validated for payment/re-plumb/remediation by the Claims Administrator to the Special Master or an independent engineering consultant, depending on the issue. For eligible claims submitted for leaks that have already occurred, the Claims Administrator will pay you for up to 60% of documented damage resulting from each leak, subject to a cap of $100,000 per leak. Damage payments for leaks do not include any claimed economic losses such as loss of use or loss of value of the property, lost time, or any indirect or consequential damages. The claimed damage must be the direct result of a leak caused by corrosion of Zurn F1807 Fittings, and you must have taken reasonable steps to mitigate (i.e. limit or stop) the effects of the leak. You must provide proof of the presence of the F1807 Fittings in the subject property and documentation sufficient to support the claim (photographs, invoices, video, or other support) and establish that the root cause of the leak was corrosion of the Zurn F1807 Fittings. Claims filed without supporting documentation may not be paid. An approved third-party remediation contractor has been selected by Counsel for Zurn, with the approval of Class Counsel and the Court, to perform Re-plumbs or Remediation. If you do not wish to use the Remediation Contractor to do the work or do not wish the Re-plumb to be done with a Zurn Pex plumbing system, the Claims Administrator will pay to a contractor of your choosing, upon completion of the work and receipt of the final invoice and all subject F1807 Fittings, an amount out of the settlement fund equivalent to what would have been paid to the Remediation Contractor. There is no set timeframe for re-plumbs to occur; it is dependent on the volume of claims and the availability of inspectors or plumbing contractors in your area. The Claims Administrator or the plumbing contractor will contact you to schedule an appointment for the Re-plumb or remediation. If you have engaged in prior litigation or made a claim which involved the same Zurn F1807 Fittings and allegation of leaks or occlusion due to corrosion that you are making here, and that claim or litigation resulted in a settlement, judgment or dismissal with prejudice, you are not entitled to file a claim against the party with whom your claim was previously settled, adjudicated or dismissed with prejudice. Similarly, if you have been paid by an insurance carrier or other third party for the repair or damages associated with F1807 Fittings, you may not receive duplicate payments from this class settlement. There are no fees involved in filing a claim. If you timely submit a Claim Form, the Claims Administrator will evaluate it based on all the information and documentation you have provided. If you fail to provide all information, documents, or photographs required by the Claim Form, the Claims Administrator will notify you in writing of your failure to do so. The missing information, documents, or photographs must be received by the Claims Administrator (or postmarked) within 30 days from the postmarked date of that written notice of your failure to provide all necessary information, documents, or photographs. Failure to comply will result in a denial of your claim. You may file additional claims as often as needed should future leaks occur. Upon filing each new claim you will need to submit a completed Claim Form and provide documentation substantiating your claimed damages. See question 7 for an explanation of the payment process. If you are concerned about the status of your claim, you may contact the Claims Administrator at 1-877-341-4602. You were mailed a Proof of Claim form because Zurn has identified you from their records as a potential class member or an attorney for a potential class member. The Final Fairness hearing has been set for February 25, 2013. If you cash your check, it only releases your claim related to your F1807 fitting(s) that already leaked. Fittings in other parts of the home are still eligible for a claim under the terms of the settlement should they leak or be subject to a reduction in water flow as described above if a claim is made prior to April 1, 2020. Please Do Not Telephone The Court Or The Court Clerk For More Information.